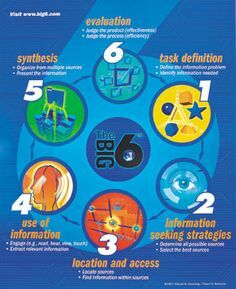 A simplified view of Big 6 - Click here for more detail! There you will find example strategies for your use and several links to valuable information for your classrooms. Ask me a question and we will find the answer, together. ​Available for after school use upon request.